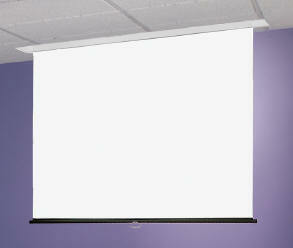 Spring-roller operated front projection screen for quiet and smooth operation. It’s easy to see why the Access Series is so popular. You can install the ceiling-recessed case first and the screen later. It's easy to switch screen surface or format making it less expensive than buying a new screen. Hanging brackets slide in channels on top of the case, allowing unlimited adjustment to avoid interference with conflicting building structures. 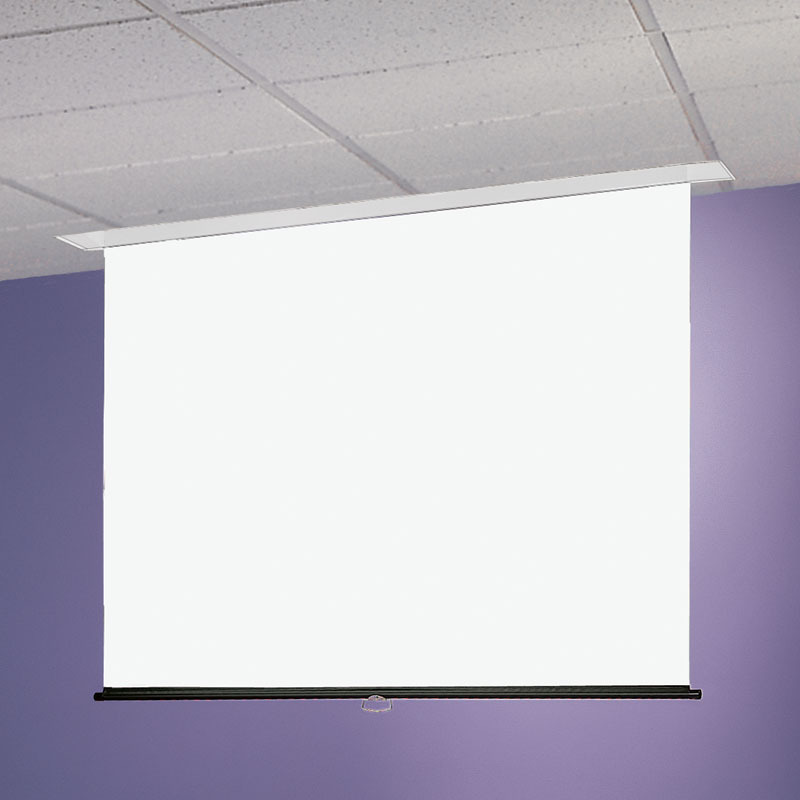 Flange supports ceiling tile or trim the opening of any type of ceiling. Bottom of case forms a slot for fabric passage, and is removable without tools for installation or replacement of screen. You can order the Access screen complete, or "case now/screen later." The screen is spring-roller operated and is non-tensioned. The reflective surface is laminated to a woven textile base and hangs suitably flat because of the stability of the material and the weight of the bottom dowel.